So, the good news is, I got a new job! The bad news is, I definitely will not have as much time to blog anymore. But never fear, I am still committed to posting and I’m especially hoping I’ll be able to continue Beauty in the Movies on a pretty regular basis. 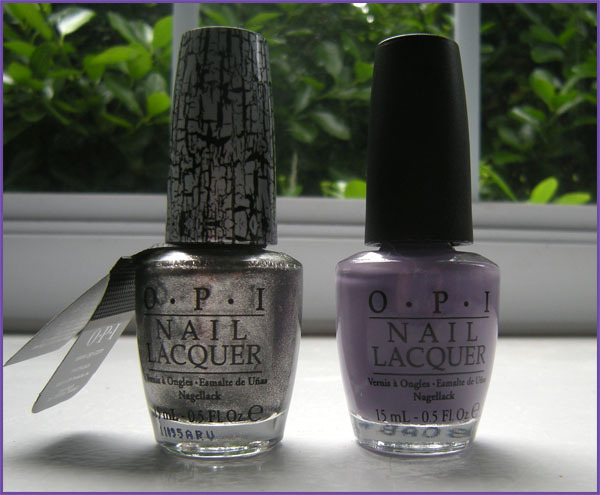 Moving on to more fun things, last week I picked up one of the new polishes from OPI’s Pirates of the Caribbean collaboration, plus I also got my hands on a bottle of the new Silver Shatter polish. This color is called “Planks A Lot” and it’s a lovely purple creme that appears slightly bluer on the nails than it does in the bottle, almost periwinkle in certain light. Here it is with the Silver Shatter polish on top. The cosmetics world is acting like shatter polish is a new thing, but way back in the 90s it was called “crackle” polish released by Cover Girl and it was all the rage for a few months. 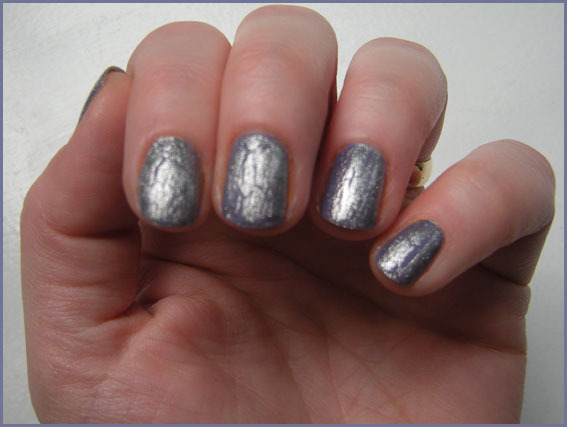 The silver is pretty, and I think it would look even better with a darker shade underneath. 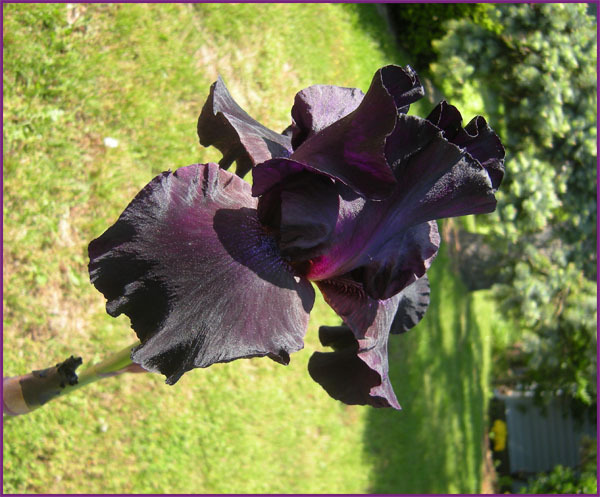 Here is a beautiful black iris that just blossomed in my front yard, isn’t the color gorgeous? I’d like a nail polish that looked like this. So, I threw caution to the wind and my sister and I battled our way through the Rebecca Minkoff sample sale a couple of weeks ago. It was worth the scary crowds and the long line because I came away with this baby. 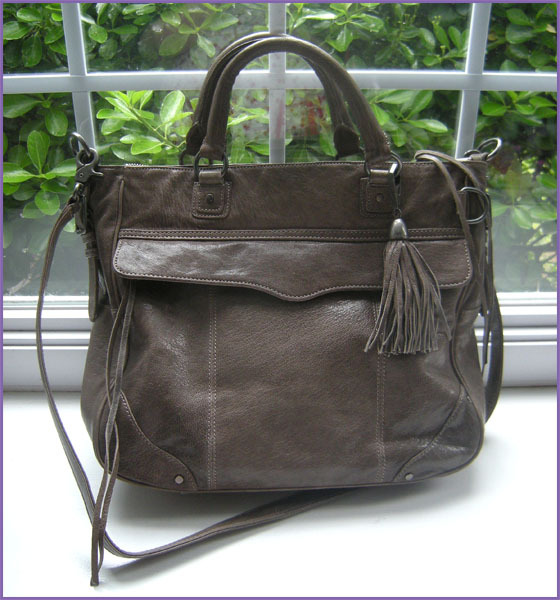 The style is called the “Dear Tote” and this one is in a taupe glazed leather. I will be paying it off for a while, but it’s a perfect work bag (great for starting a new job!) and it can fit a lot. 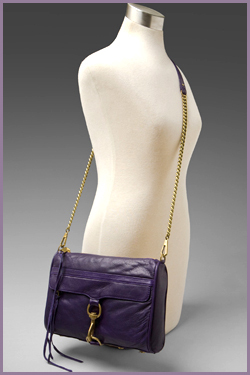 This bag also has a whole bunch of pockets, can be worn across the body, and the color is really versatile. Money well spent I think! Also, I started this blog one year ago today! Time really flies. I really hope I can keep this thing going, and thank you so much to all of you who’ve been reading, you’re the best!! Ok, that’s it for now, but don’t forget to check back tomorrow for Beauty in the Movies! This is how it starts. 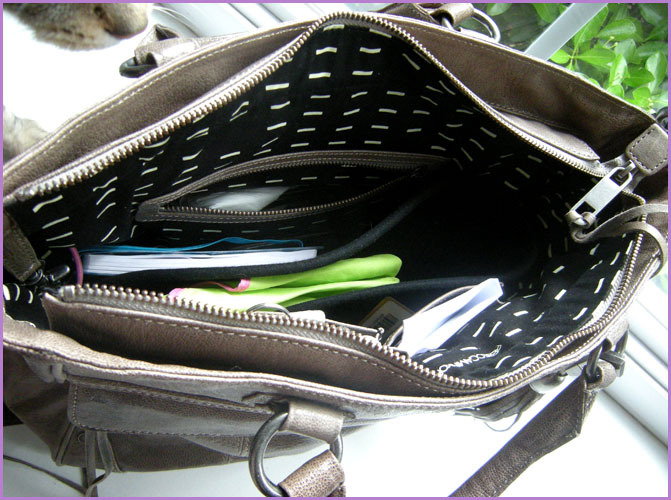 One day you look at your purse and you think, “that thing is starting to look ragged, maybe I should look for a new one”. So you start to shop around, maybe you look at a few stores where you have gift cards or you do some searches online. Then you spot a bag you like, it’s cute but way too expensive, so you keep looking. But wait, there’s that bag again—and again, it keeps popping up. 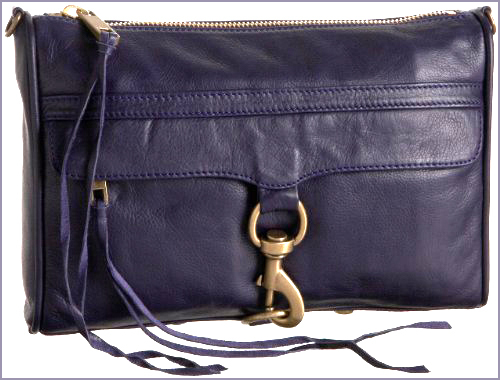 You do a search for ‘cross-body-leather-bag’ and it keeps following you. You read the reviews, they’re all good. You learn it’s a cult bag, which isn’t appealing because it’s popular (in fact that’s a downside) but it is appealing because it means it’s a well made versatile bag people seem satisfied with. One day you find yourself at the mall and you think “I’ll just pop into Nordstrom and see if they have that bag”, of course they do. After a few minutes of petting the soft leather lovingly, you try it on. Eventually the sales girl comes over because you look crazy as you obsessively play with the thing and try it on several different ways. Zipping, un-zipping, looking for some flaw to make you love it less, but you can’t find anything, it’s exactly what you want it to be. Damn. I’ve never been big on labels, if it looks cute, who cares who makes it? I have plenty of clothes from Costco and I’m not ashamed. The problem is that sometimes, especially with bags and shoes, the label is more than just a name, it’s better quality too. You see how I’m justifying this to you? It’s a slippery slope. Although I can’t imagine I’ll ever be the girl spending all her money on designer shoes and handbags, I can understand now how it happens, and I can’t judge anymore. Nobody actually needs a new purse right? I could use a plastic bag or a tote bag or something, the truth is that I want it, I want it. To say that I need it is just a rationalization. Now it has become a thing, I find myself looking at my wardrobe thinking, “that jacket would look way cuter with that bag”, or “if I just stop buying so many damn groceries I could put the money towards that bag”. This may be one reason many “fashionistas” (I kinda hate that word) are so skinny. Seriously though, when you’re lusting after a product, whether it be a bag, or an ipod, or a miracle face cream, once you’ve started imagining it in your possession, it’s hard to just let it go. I’m not saying this phenomenon is good, or right, or healthy, but it’s definitely true. You see something, you want something, you then rationalize that you need to have it, you think about it a bit too much, and then finally you buy it. Sometimes it ends up being something you love and use constantly, and sometimes it sits at the back of your closet or the bottom of your purse giving you a twinge of guilt every-time you come upon it. So, what’s a girl to do? I could show restraint and walk away, but I could really use a new purse, and any money I spend on something else will just be money I could have spent on the one I really wanted. I feel stupid for thinking about an object so much. Stuff is just stuff, right? But I’d assume most people (in this country at least) have made a purchase they’ve rationalized in some way. It could be anything, a TV, a car, a kindle, we all want things. Women get labeled as having this problem more than men, but I don’t think anyone is totally immune to it. 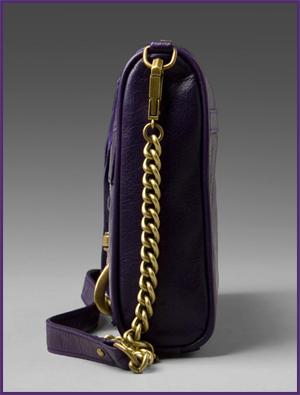 So maybe I want a $295 bag, so what? I’m going to go ahead and rationalize it to myself and work and save for it, check some discount sites, and then maybe I won’t feel so bad about it—that’s the point of rationalizing right? My question is, have the rest of you ever had this problem? Also, has anyone ever used Bags.Bonanza.com? 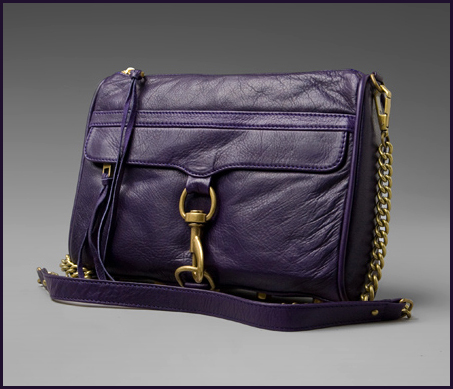 They have the bag I’ve been obsessing over but I’ve never bought anything in an auction with no returns, I’m scared! Any advice appreciated!